This C.O. Prayer comes straight from my heart. 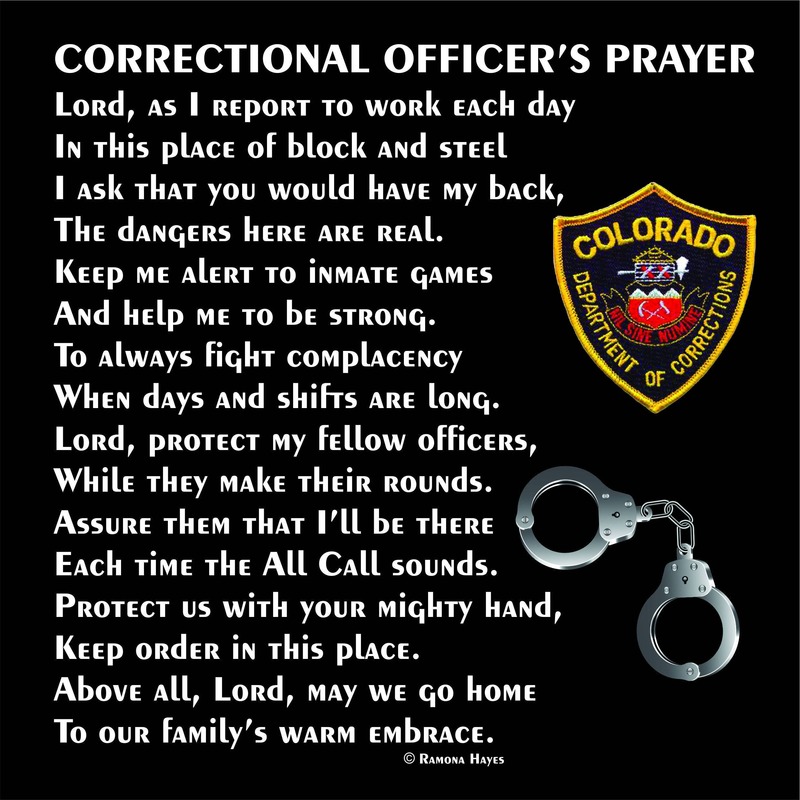 I am a retired C.O. and wrote this prayer out of my experience working in a maximum security institution for over 16 years. It is a fitting tribute to those who work behind the wall and face constant danger to keep us safe. 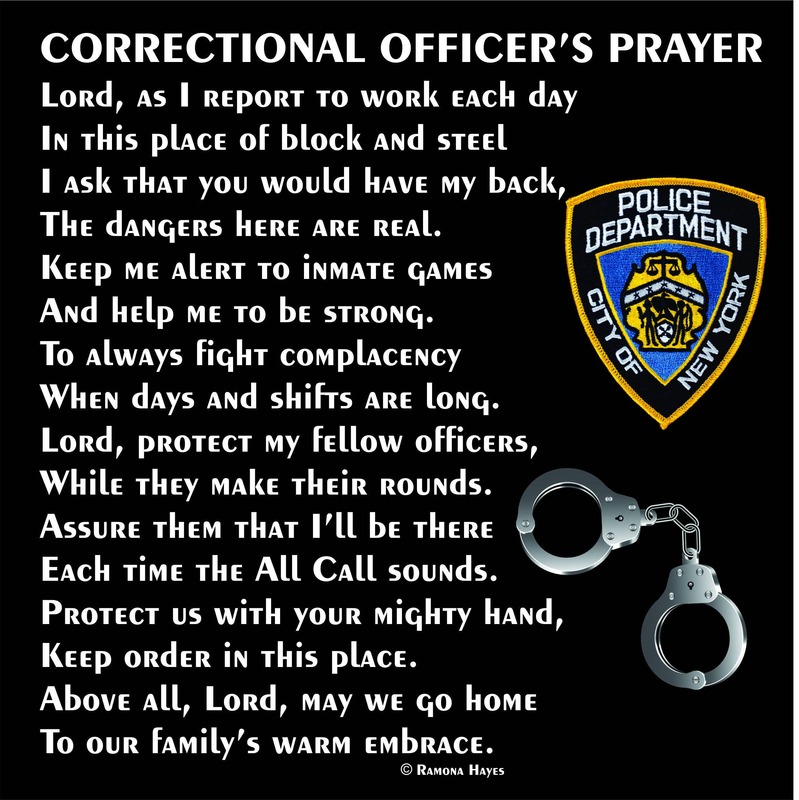 If you have ever worked inside a secure perimeter, you will be able to relate to this C.O. Prayer. 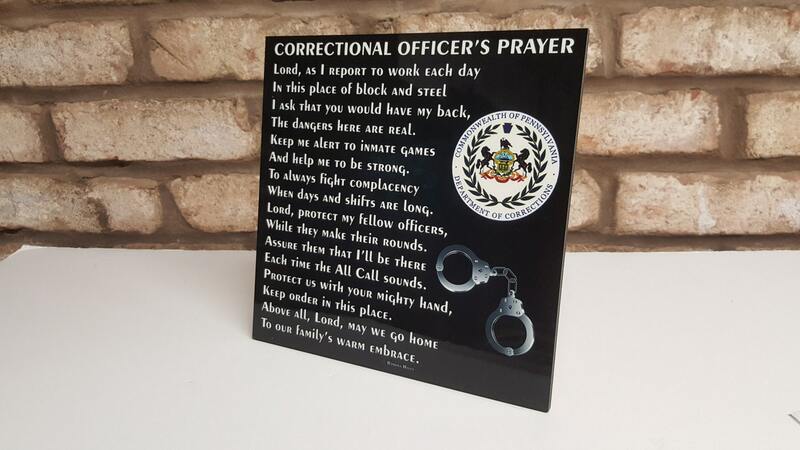 If you are just beginning your career in Corrections, you will come to appreciate every word. 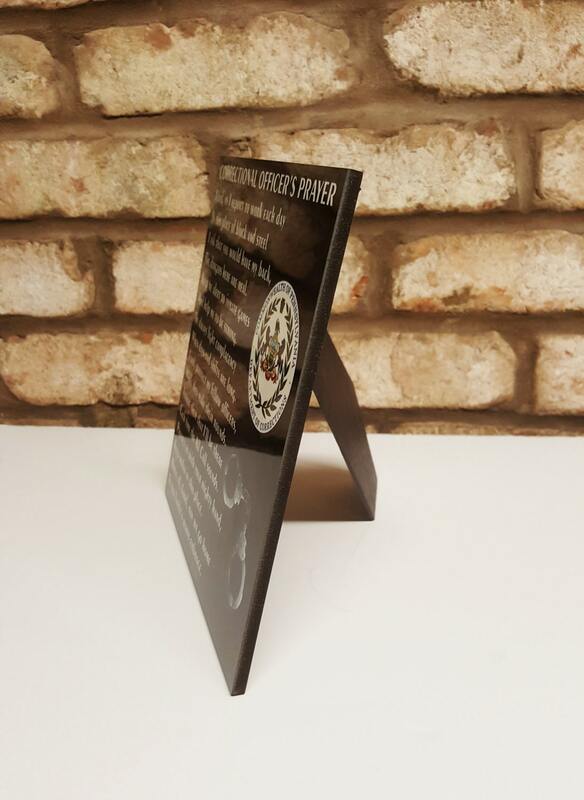 IF YOU WOULD LIKE A BADGE OR A PHOTO featured on this plaque, you will need to submit a good quality, high resolution photo. 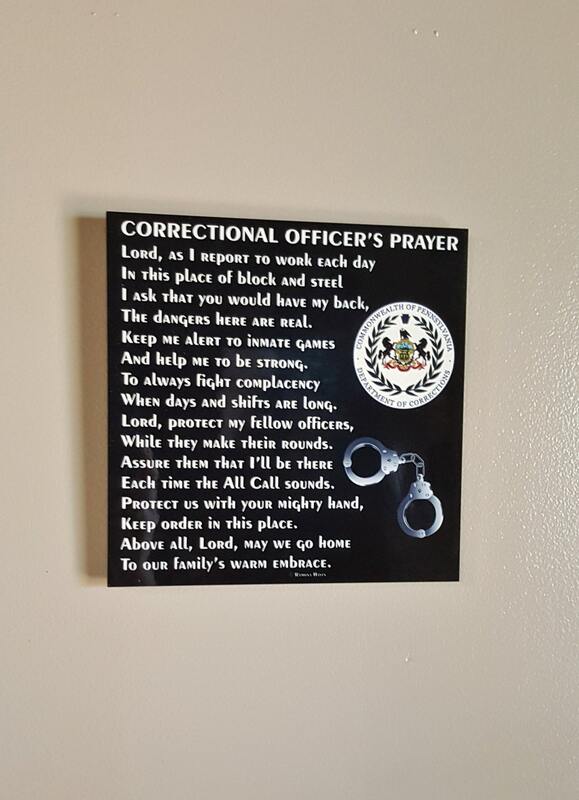 Your image will be placed where the PA Dept of Corrections emblem is in the listing photos. IF YOU DO NOT INDICATE A BADGE OR PHOTO, NONE WILL BE USED. If you would like a name and dates instead of a photo, please choose that option. 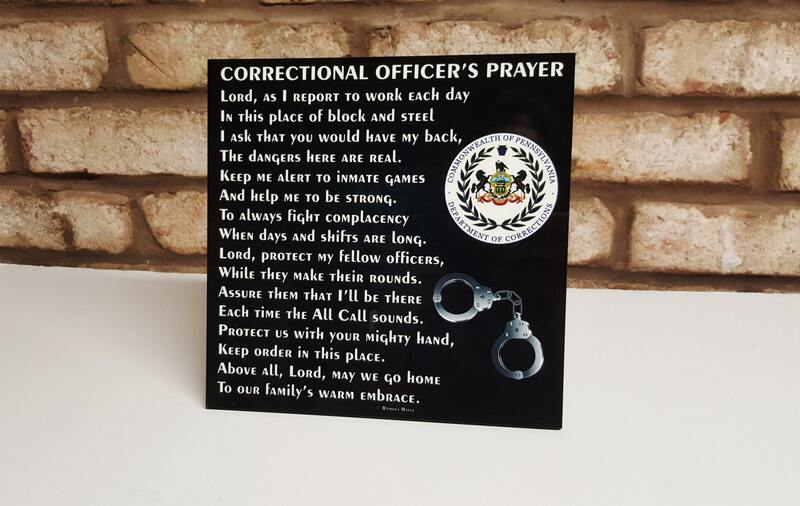 This original prayer is created on an 8" x 8" hardboard plaque and includes an easel backing. We also offer this beautiful Correctional Officer's Prayer in a 12" x 12" format. You may order the 12"x 12" version by going to this link. The easel back allows the plaque to sit on a shelf, table or desk without the need for a separate easel. It also has a small sawtooth hanger so you have the option of hanging it on the wall if surface space is at a premium. An original design by Three Dames Dreamin' LLC and the prayer itself is my original work.